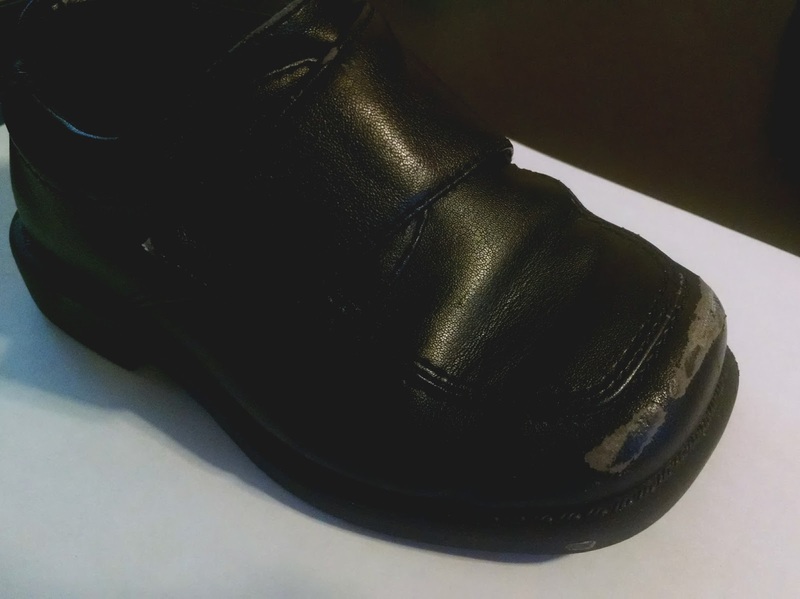 Fru-Gal.org: Life hack: Extend the life of your kids' dress shoes! 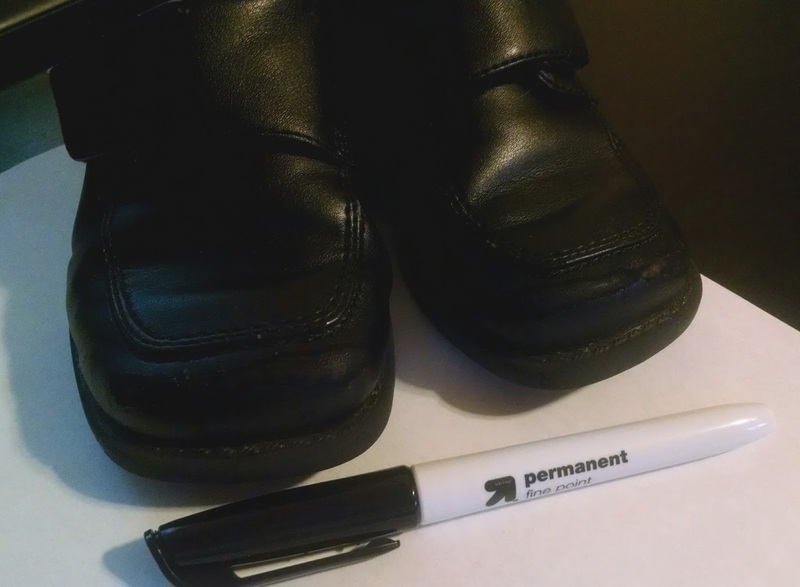 Life hack: Extend the life of your kids' dress shoes! My children tend to be rough on their shoes. I'm sure this is a common problem! If your little one has black dress shoes that are scuffed, here's a little trick I've discovered to make those shoes appear newer and nicer. 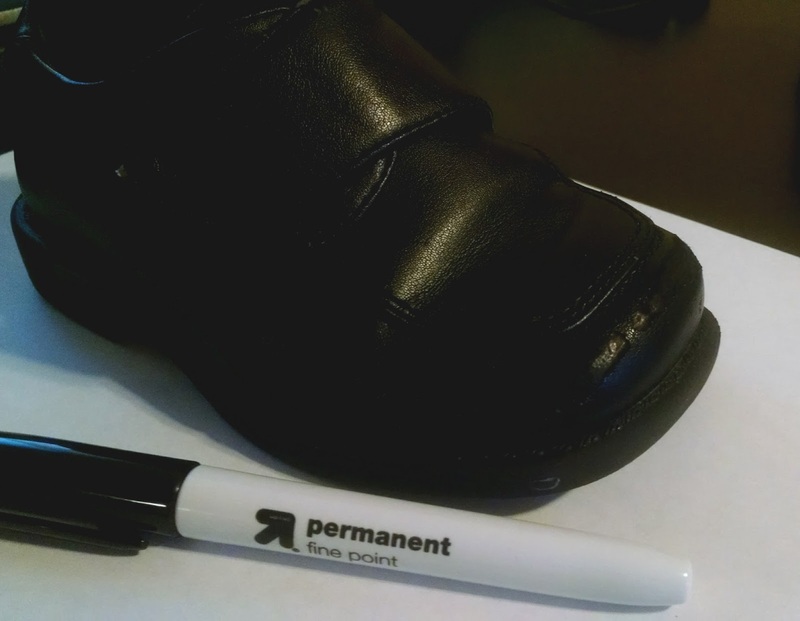 Take a black permanent marker and simply color in the scuff marks... Voila! That's it! You may need to reapply the marker after several more wears. I guess I've perfected this skill during my year of not buying clothes/shoes. So there you have it, a simple way to extend the life of your little ones' shoes and "make do" with what you have. Besides, they'll probably outgrow their shoes quicker than it's worth to buy a whole brand new pair!